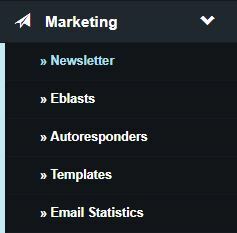 You can access Email Statistics under the Marketing tab. Use the tabs at the top of the page to view data for Newsletters, Eblasts, Opt-In Emails, and Autoresponders. From these tabs, you can view data from a selected date range, by specific Newsletter, or by specific Eblast. To select a new date range, click on the calendar icon next to the current date range. Select your start date on the left and your ending date on the right. Click the green Apply button to save the new date range and click Update to refresh your data. To view data for a specific E-blast or Newsletter, click the drop down menu on the left and make the appropriate selection. The date selection tool will be replaced with a drop down that includes all of the E-blasts or Newsletters you have previously sent. Select the E-Blast or Newsletter you want to review and click Update. At the bottom of the page you can see which of your contacts have opened your emails the most as well as the links within your emails that have been clicked the most. At the top of the the E-Blasts and Newsletters tabs, you will have a Contact Details button. This button will allow you to see data for each individual contact in your database. 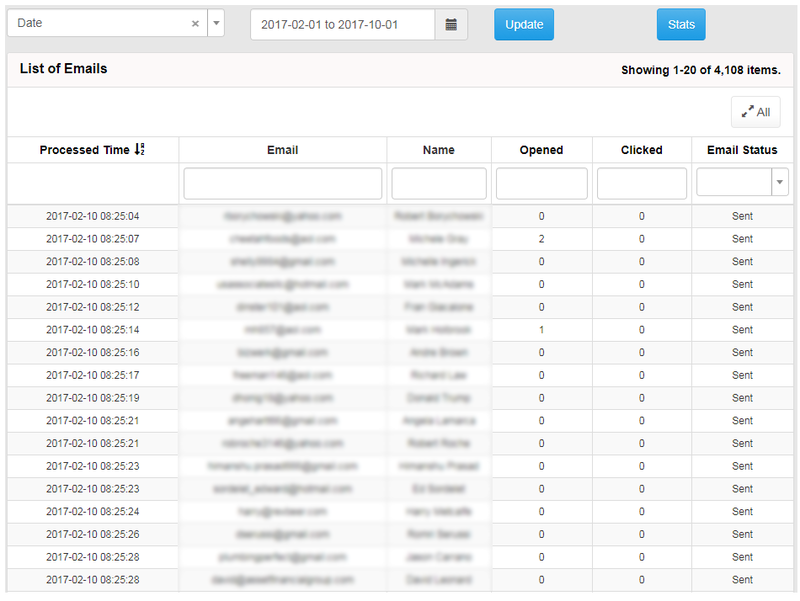 Clicking on the Opened or Clicked columns will allow you to sort this information so that you can see which clients are interacting with your emails the most. Clicking the Stats button will take you back to the data for all emails.